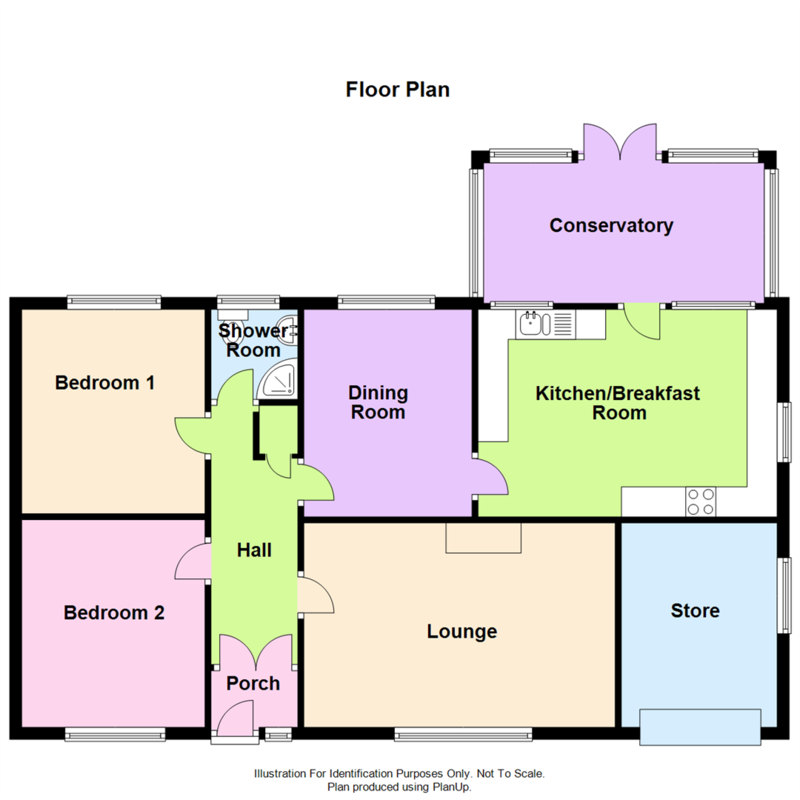 This modern detached two bedroom bungalow is presented throughout to an exacting standard and provides well planned and well proportioned accommodation throughout with rooms of pleasing dimensions. The bungalow benefits from full gas fired central heating and double glazing. The property is situated in a favourable position on the fringe of this popular residential development, well placed within easy reach of local amenities including shops, schools, frequent bus service to the town centre and within easy reach of the Shrewsbury by-pass with M54 link to the West Midlands. A truly immaculate, well appointed and improved, modern, detached two bedroom bungalow. The property is set back from the road by a neatly kept gravelled forecourt with inset shrubs and approached over a tarmacadam drive, providing ample parking with a pathway serving the formal reception area. There is a neatly kept REAR GARDEN with an extensive paved patio, lawn with floral and shrubbery borders. Further patio and seating area. The whole well enclosed on all sides by closely boarded well maintained wooden fencing. Double wooden gates allow access over a paved hardstanding, ideal for caravan/boat/additional parking area.